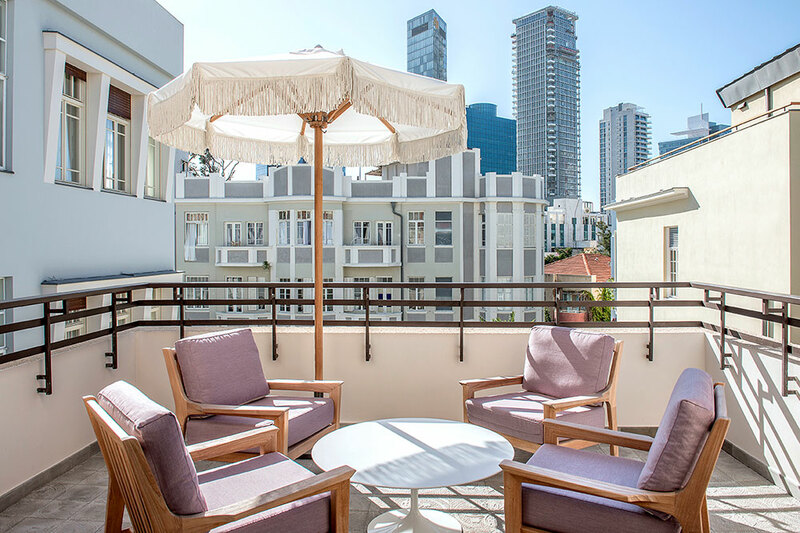 For the March 2019 Hideaway Report, our editor traveled to Israel, where he stayed in hotels in three different Tel Aviv neighborhoods: Jaffa, the so-called American Colony and the area of downtown known as the “White City.” Two of the three properties met with his approval and are now Hideaway Report recommended hotels. 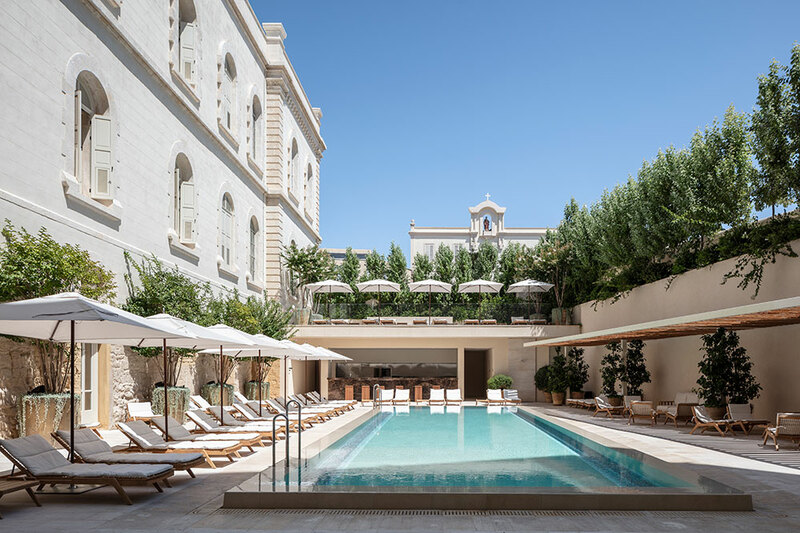 Tucked away in the middle of the old city and surrounded by traditional houses constructed during the centuries of Ottoman rule, this hotel complex comprises a 19th-century French hospital and a modern extension designed by John Pawson, a British architect known internationally for his refined minimalist aesthetic. Divided between the historic and contemporary wings, many of the 120 rooms and suites feature private balconies with magnificent sea or city views. I recommend opting for one of the larger accommodations in the historic wing, where the high-ceilinged rooms are more atmospheric. Read more about The Jaffa. This stylish boutique hotel comprises two restored 1920s buildings linked by an idyllic garden planted with citrus. The main structure is designed in the local eclectic style with Renaissance- and Oriental-inspired furnishings and has 30 guest accommodations, many of which tend to be on the small side. An adjacent Bauhaus-style building houses 20 suites, including two rooftop units that feature spacious living rooms and private terraces. The ground floor of the main building is a constant whirl of activity, thanks to the popularity of both Alena, an indoor-outdoor restaurant serving Mediterranean-inspired cuisine in a bistro-style setting, and the atmospheric Library Bar. Read more about The Norman.